The August Final Friday will be at Delaney’s Irish Pub & Grill in McKinney, 6150 Eldorado Parkway(map), August 28, from 6:30 – 8:30. 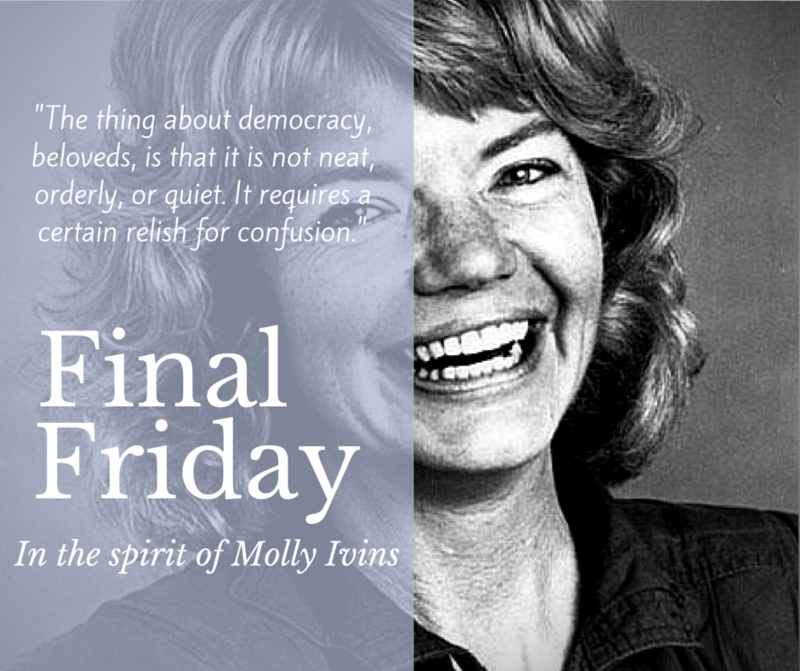 Join like minded folk for drink, eats and camaraderie in the spirit of Molly Ivins. It’s time to register voters!